Croatia ( ; Croatian: Hrvatska ), officially the Republic of Croatia (Croatian: Republika Hrvatska, ), is a sovereign state at the crossroads of Central Europe, Southeast Europe, and the Mediterranean. 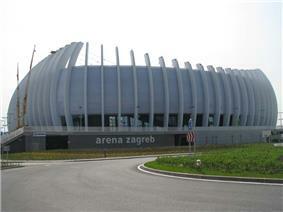 Its capital city is Zagreb, which forms one of the country's primary subdivisions, along with its twenty counties. Croatia covers 56,594 square kilometres (21,851 square miles) and has diverse, mostly continental and Mediterranean climates. 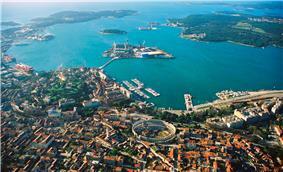 Croatia's Adriatic Sea coast contains more than a thousand islands. The country's population is 4.28 million, most of whom are Croats, with the most common religious denomination being Roman Catholicism. A Union for the Mediterranean. As an active participant in the UN peacekeeping forces, Croatia has contributed troops to the NATO-led mission in Afghanistan and took a non-permanent seat on the UN Security Council for the 2008–2009 term. 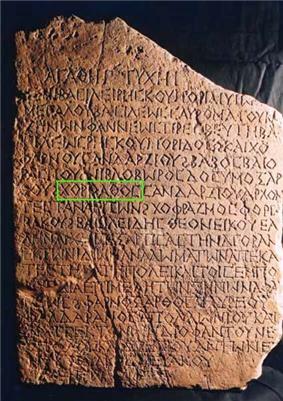 According to the work De Administrando Imperio written by the 10th-century Byzantine Emperor Constantine VII, the Croats had arrived in what is today Croatia in the early 7th century, however that claim is disputed and competing hypotheses date the event between the 6th and the 9th centuries. Eventually two dukedoms were formed—Duchy of Pannonia and Duchy of Croatia, ruled by Ljudevit Posavski and Borna, as attested by chronicles of Einhard starting in 818. 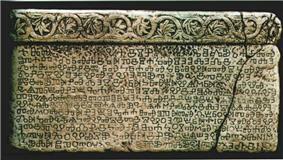 The record represents the first document of Croatian realms, vassal states of Francia at the time. The Frankish overlordship ended during the reign of Mislav two decades later. 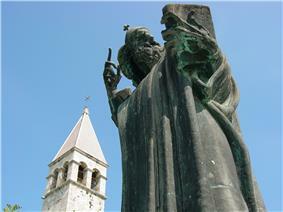 According to the Constantine VII Christianization of Croats began in the 7th century, but the claim is disputed and generally Christianization is associated with the 9th century. The first native Croatian ruler recognised by the Pope was Duke Branimir, who received papal recognition from Pope John VIII in 7 June 879. It is estimated that out of 39,000 Jews in the country only 9,000 survived; the rest were either killed or deported to Germany, both by the local authorities and the German Army itself. Croatian and Serbian sources disagree on the exact figures. Furthermore, a significant number of Serbs were killed by the Ustaše on the territory of the NDH during the war. According to Midlarsky, number of Serbs killed by the regime was at least half a million, but the figure is contradicted by both Bogoljub Kočović and Vladimir Žerjavić. 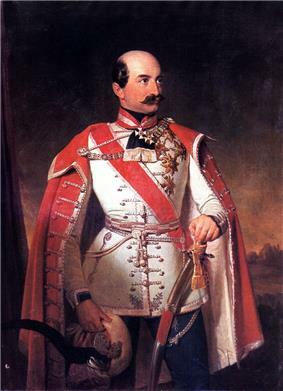 Kočović estimated total number of Serbs killed throughout Yugoslav territory in various circumstances at 487,000, while Žerjavić put the figure at 530,000. 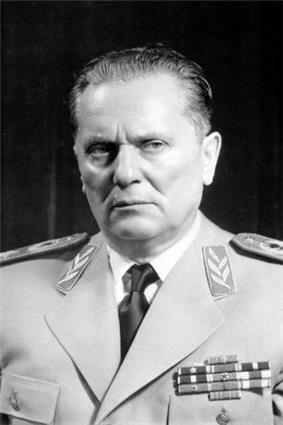 Furthermore, Žerjavić indicated that 320,000 Serbs were killed in the NDH, including 82,000 killed among the Yugoslav Partisans, 23,000 killed as Axis collaborators, 25,000 victims of typhoid epidemic, 45,000 killed by Germans and 15,000 by Italians. 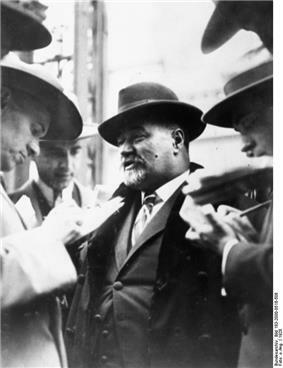 Kočović's and Žerjavić's total Yugoslav losses are in agreement with estimates made by Mayers and Campbell of the United States Census Bureau. The number of Croats killed in the NDH is estimated to be approximately 200,000, either by the Croatian fascist regime, as members of the armed resistance, or as Axis collaborators. Several thousand of these were killed by the Chetniks; most Croatian historians place the number of Croats killed by the Chetniks on the territory of modern-day Croatia at between 3,000 and 3,500. Croatian estimates for the number of Croats killed by Chetniks in the whole of Yugoslavia range from 18,000 to 32,000 (both combatants and civilians). With Allied support in logistics, equipment, training and air power, and with the assistance of Soviet troops taking part in the 1944 Belgrade Offensive, the Partisans gained control of Yugoslavia and the border regions of Italy and Austria by May 1945, during which time thousands of members of the Ustaše, as well as Croat refugees, were killed by the Yugoslav Partisans. The political aspirations of the Partisan movement were reflected in the State Anti-fascist Council for the National Liberation of Croatia, which developed in 1943 as the bearer of Croatian statehood and later transformed into the Parliament of Croatia in 1945, and AVNOJ—its counterpart at the Yugoslav level. 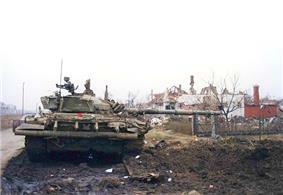 As tensions rose, Croatia Stabilization and Association Agreement (SAA) with the European Union in October 2001. 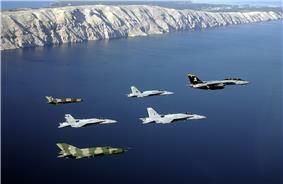 Croatia became member of NATO on 1 April 2009, and joined the European Union on 1 July 2013. Croatia is located in Central and Southeast Europe, bordering Hungary to the northeast, Serbia to the east, Bosnia and Herzegovina to the southeast, Montenegro to the southeast, the Adriatic Sea to the southwest and Slovenia to the northwest. It lies mostly between latitudes 42° and 47° N and longitudes 13° and 20° E. Part of the territory in the extreme south surrounding Dubrovnik is a practical exclave connected to the rest of the mainland by territorial waters, but separated on land by a short coastline strip belonging to Bosnia and Herzegovina around Neum. The territory covers 56,594 square kilometres (21,851 square miles), consisting of 56,414 square kilometres (21,782 square miles) of land and 128 square kilometres (49 square miles) of water. It is the 127th largest country in the world. Elevation ranges from the mountains of the Dinaric Alps with the highest point of the Dinara peak at 1,831 metres (6,007 feet) near the border with Bosnia and Herzegovina in the south to the shore of the Adriatic Sea which makes up its entire southwest border. Insular Croatia consists of over a thousand islands and islets varying in size, 48 of which are permanently inhabited. 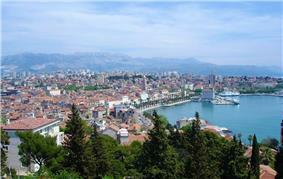 The largest islands are Cres and Krk, each of them having an area of around 405 square kilometres (156 square miles). The hilly northern parts of Hrvatsko Zagorje and the flat plains of Slavonia in the east (which is part of the Pannonian Basin) are traversed by major rivers such as Sava, Drava, Kupa and Danube. 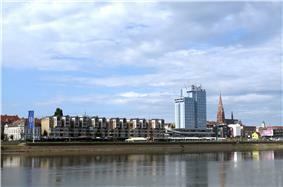 The Danube, Europe's second longest river, runs through the city of Vukovar in the extreme east and forms part of the border with Serbia. 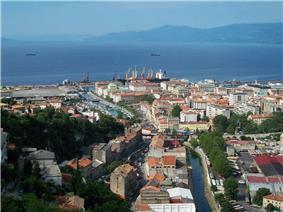 The central and southern regions near the Adriatic coastline and islands consist of low mountains and forested highlands. Natural resources found in the country in quantities significant enough for production include oil, coal, bauxite, low-grade iron ore, calcium, gypsum, natural asphalt, silica, mica, clays, salt and hydropower. Karst topography makes up about half of Croatia and is especially prominent in the Dinaric Alps. There are a number of deep caves in Croatia, 49 of which are deeper than 250 m (820.21 ft), 14 of them deeper than 500 m (1,640.42 ft) and three deeper than 1,000 m (3,280.84 ft). Croatia's most famous lakes are the Plitvice lakes, a system of 16 lakes with waterfalls connecting them over dolomite and limestone cascades. The lakes are renowned for their distinctive colours, ranging from turquoise to mint green, grey or blue. Ravni Kotari, a geographical region in Dalmatia. Most of Croatia has a moderately warm and rainy continental climate as defined by the Köppen climate classification. Mean monthly temperature ranges between −3 °C (27 °F) (in January) and 18 °C (64 °F) (in July). The coldest parts of the country are Lika and Gorski Kotar where snowy forested climate is found at elevations above 1,200 metres (3,900 feet). The warmest areas of Croatia are at the Adriatic coast and especially in its immediate hinterland characterised by the Mediterranean climate, as the temperature highs are moderated by the sea. Consequently, temperature peaks are more pronounced in the continental areas—the lowest temperature of −35.5 °C (−31.9 °F) was recorded on 3 February 1919 in Čakovec, and the highest temperature of 42.4 °C (108.3 °F) was recorded on 5 July 1950 in Karlovac. Mean annual precipitation ranges between 600 millimetres (24 inches) and 3,500 millimetres (140 inches) depending on geographic region and prevailing climate type. The least precipitation is recorded in the outer islands (Vis, Lastovo, Biševo, Svetac) and in the eastern parts of Slavonia, however in the latter case, it is mostly occurring during the growing season. The maximum precipitation levels are observed on the Dinara mountain range and in Gorski kotar. Prevailing winds in the interior are light to moderate northeast or southwest, and in the coastal area prevailing winds are determined by local area features. Higher wind velocities are more often recorded in cooler months along the coast, generally as bura or less frequently as sirocco. The sunniest parts of the country are the outer islands, Hvar and Korčula, where more than 2700 hours of sunshine are recorded per year, followed by the southern Adriatic Sea area in general, northern Adriatic coast, and Slavonia, all with more than 2000 hours of sunshine per year. 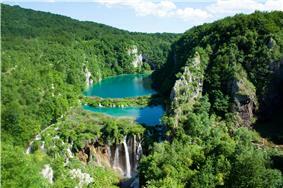 There are 37,000 known species in Croatia, but their actual number is estimated to be between 50,000 and 100,000. The claim is supported by nearly 400 new taxa of invertebrates discovered in Croatia in the first half of the 2000s (decade) alone. There are more than a thousand endemic species, especially in Velebit and Biokovo mountains, Adriatic islands and karst rivers. Legislation protects 1,131 species. The most serious threat to species is loss and degradation of habitats. A further problem is presented by appearance of invasive alien species, especially Caulerpa taxifolia algae. The invasive algae are regularly monitored and removed to protect the benthic habitat. Indigenous sorts of cultivated plants and breeds of domesticated animals are also numerous. Those include five breeds of horses, five breeds of cattle, eight breeds of sheep, two breeds of pigs and a poultry breed. Even the indigenous breeds include nine endangered or critically endangered ones. 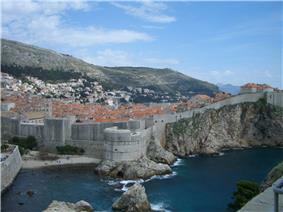 There are 444 protected areas of Croatia, encompassing 9% of the country. Those include eight national parks, two strict reserves, and ten nature parks. The most famous protected area and the oldest national park in Croatia is the Plitvice Lakes National Park, a UNESCO World Heritage Site. 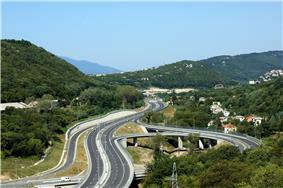 Velebit Nature Park is a part of the UNESCO Man and the Biosphere Programme. The strict and special reserves, as well as the national and nature parks, are managed and protected by the central government, while other protected areas are managed by counties. 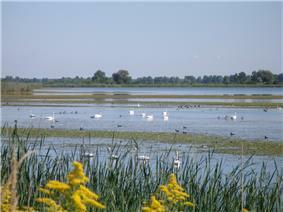 In 2005, the National Ecological Network was set up, as the first step in preparation of the EU accession and joining of the Natura 2000 network. 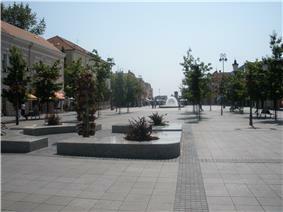 The Republic of Croatia is a multi-party elections and adopted its present constitution in 1990. It declared independence on 8 October 1991 leading to the break-up of Yugoslavia and the country was internationally recognised by the United Nations in 1992. Under its 1990 constitution, Croatia operated a semi-presidential system until 2000 when it switched to a parliamentary system. 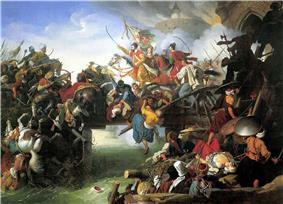 Government powers in Croatia are divided into legislative, executive and judiciary powers. The legal system of Croatia is civil law, strongly influenced, as is the institutional framework, by the legal heritage of Austria-Hungary. By the time EU accession negotiations were completed on 30 June 2010, Croatian legislation was fully harmonised with the Community acquis. ^ Midlarsky (2005), p. 131; quote: "Memories of the mass murder of at least 500,000 Serbs by the fascist Croatian state in alliance with Nazi Germany during World War II were rekindled by Tuđman's behavior." 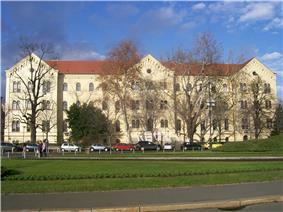 Architecture in Croatia reflects influences of bordering nations. Austrian and Hungarian influence is visible in public spaces and buildings in the north and in the central regions, architecture found along coasts of Dalmatia and Istria exhibits Venetian influence. 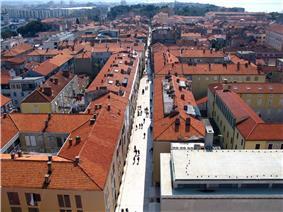 Large squares named after culture heroes, well-groomed parks, and pedestrian-only zones, are features of these orderly towns and cities, especially where large scale Niccolò Fiorentino such as the Cathedral of St. James in Šibenik. The oldest preserved examples of Croatian architecture are the 9th-century churches, with the largest and the most representative among them being Donatus of Zadar. Croatia shares a land border with Hungary and Serbia and is therefore at risk of a significant inflow of migrants from those countries. According to the Croatian Minister of Interior Ranko Ostojić, "police in the area have enough people and equipment to protect the Croatian border against illegal immigrants". President Kolinda Grabar-Kitarović and First Deputy Prime Minister Vesna Pusić have so far rejected the option of building a barrier along the Croatian border with Serbia, akin to Hungary–Serbia barrier raised by the Hungarian authorities. On 15 September 2015, Hungarian police force, Rendőrség, announced it would start arresting people who are caught illegally crossing the border. Reported 519 people have been attained, of which 46 will face criminal charges for trespassing. During a parliamentary session of the Croatian Parliament, Prime Minister Milanović stated that he will convene the National Security Council to discuss aiding the migrants. 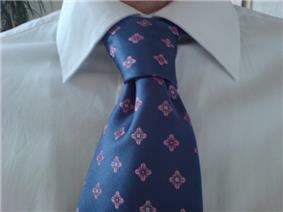 Prime Minister stated that "wire in Europe is not an answer, but rather a threat. Croatia is ready to accept migrants and direct them to wherever they want to go, Germany, Scandinavia or several other countries. These people are here (in Croatia), they are children, men, women who want to come to work, to create. They don't even want to go to Hungary and therefore I do not understand why aren't they allowed to pass through that country. They can most certainly go through Croatia." 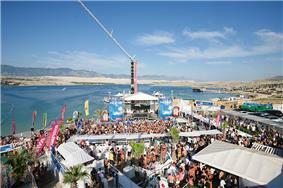 With its population of 4.28 million in 2011, Croatia ranks 125th by population in the world. 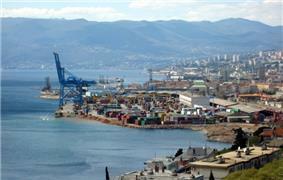 Its population density stands at 75.9 inhabitants per square kilometre. 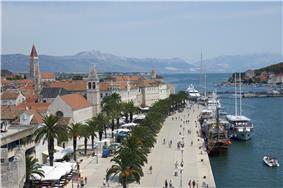 The overall life expectancy in Croatia at birth was 78 years in 2012. The total fertility rate of 1.5 children per mother, is one of the lowest in the world. Since 1991, Croatia's death rate has continuously exceeded its birth rate. Since the late 1990s, there has been a positive net migration into Croatia, reaching a level of more than 7,000 net immigrants in 2006. There are Federal Aviation Administration upgraded it to Category 1 rating. 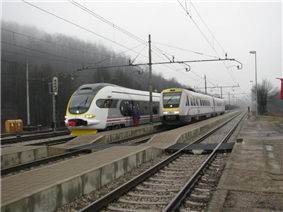 Croatian Railways , regional and tilting train. 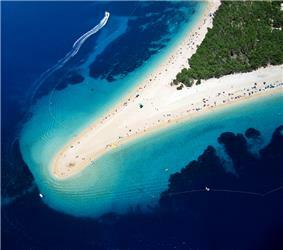 Zlatni Rat beach on Brač Island, one of foremost spots of tourism in Croatia. 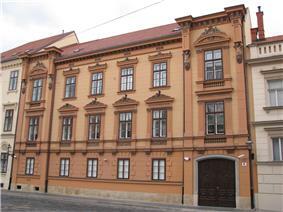 Croatia has established diplomatic relations with 174 countries. 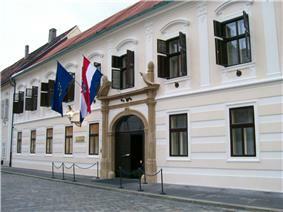 As of 2009, Croatia maintains a network of 51 embassies, 24 consulates and eight permanent diplomatic missions abroad. Furthermore, there are 52 foreign embassies and 69 International Criminal Tribunal for the former Yugoslavia (ICTY), United Nations Development Programme, United Nations High Commissioner for Refugees and UNICEF. 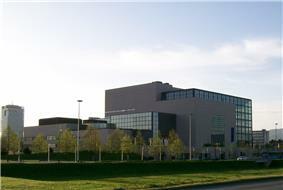 In 2009, the Croatian Ministry of Foreign Affairs and European Integration employed 1,381 personnel and expended 648.2 million kuna (€86.4 million). Stated aims of Croatian foreign policy include enhancing relations with neighbouring countries, developing international co-operation and promotion of the Croatian economy and Croatia itself. 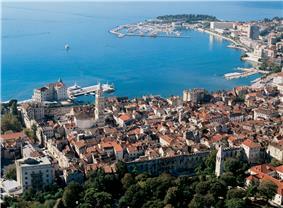 The center of the city of Split, built in and around the Palace of the Emperor Diocletian.